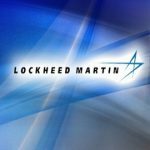 Lockheed Martin (NYSE: LMT) has received a $106 million contract modification to manufacture additional C-130J aircraft for the U.S. Air Force for fiscal year 2017. The company will build two C-130J-30, three HC-130J, five MC-130J and one KC-130J under the multiyear production contract, the Defense Department said Tuesday. Lockheed will produce the aircraft in Marietta, Georgia, through July 31, 2017. C-130J is designed to support various missions such as special operations, aerial refueling, close air support, firefighting, search and rescue and personal recovery.